Well, for one thing, much of New Age spirituality is not all that new. In fact, we're dealing here with some of the oldest concepts in religious history. Take reincarnation, for example. Not a bad choice for a fundamental belief, considering it's been talked about and tested since the earliest Hindu writings of 800 BC. Same goes for the related concept of karma, which has an equally ancient history. On the slightly more Western side of things, man has been communicating with angels since well before Biblical times. Surely spirituality is more than recycled religion? Indeed it is. Chakras have been pretty standard fare in Eastern religions since the early days, but here is where New Age spirituality takes it up a notch. It adds the discovery of the human aura (also known as the spiritual aura), which is the forcefield where the chakras (energy centers) are found. Violet flame, or violet fire, is another relatively new spiritual concept. Twin flames and soul mates are yet more. Spirituality is the bringing together of a variety of complementary concepts from the world's major religions. It combines these with a few other beliefs, usually introduced by the revelation of new teachings from the heaven-world, given to whoever are the annointed messengers of the time period. So how do you "practice" spirituality? Well, that could start with seeking out a source (or a few!) of spiritual information that 'sits right' with you, and then learning as much as possible in order to make informed lifestyle choices. The kinds of choices that might be affected by a move towards spirituality could include decisions about which foods to eat, what kind of entertainment to get into, what music to listen to, whether to take part in daily devotions or other spiritual practices. Is it just a bunch of rules? Not at all. A big difference between religion and spirituality becomes clear here. Engaging in spirituality is about understanding that wherever you put your attention, that's where your energy goes. Some things you focus on will return that energy to you for you to use again, others will not. Spirituality is about discovering for yourself the consequences of choices you could make, so you can decide how you want to use the energy God gives you each day. There is no dogma or doctrine that you have to follow. I think it might feel a lot easier to have a nice detailed set of rules that one could follow and trust in the process. That's likely one of the reasons why traditional religions suit many people - there are clear rules for how to best live your life. But the 'rules' thing isn't quite the case in spirituality. There are only the natural laws of the universe and YOU figuring out how to best navigate and progress through them. Maybe that sounds too much to handle. Fortunately we've not been left alone to walk our individualized spiritual path. Not by a long shot! 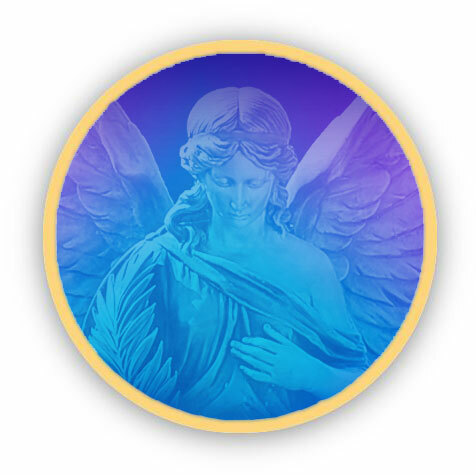 As well as spiritual communities and groups of like-minded individuals learning and supporting each other, there are a whole host of helpful heavenly beings who've been there, done that, and got the trophy. New Age spirituality is a broad and fascinating subject to explore. Fortunately, you're at the right place to do that.